As every year, we have mixed up the QUIVER SERIES, originally conceived by Bryan Fox and Austin Smith. We have added a 203(! )cm CANNON, a serious powder board for big turns in big terrain. The name says it all for the new BANKER: a board specifically designed or the growing number of banked slaloms that are being held all over. Also new for 19/20 is the FINTWIN, a short, fun pow and slush slasher at an affordable price. 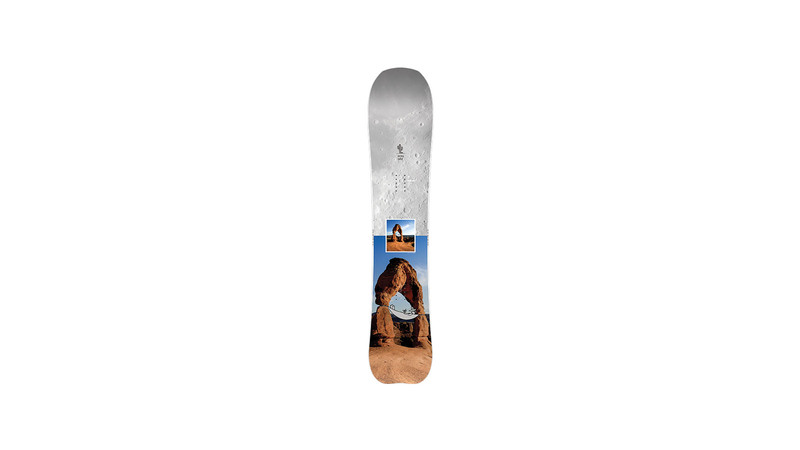 Another focus is on the youth boards: We feel it’s unfair that only adults are getting all these new and fun board models and shapes, while the Future of Snowboarding is mostly restricted to some sort of twin tip board. This is why we have added 137 and 142 sizes to the popular SQUASH Series, giving our young shredders a piece of the action, too. Finally, we have worked with Elias Elhard to bring back another all-mountain twin tip board, the SANTOKU. Elias’ riding style speaks for itself and defines best how versatile this new board is. For many years now, we have been making our boards in Taiwan, using our own R&D as well as our own full-time tech engineer in the factory. This setup has worked very well for us. Yessir! We have added a 203(! )cm CANNON, a serious powder board for big turns in big terrain. But even my 13-year old son had a blast on this board during our testing sessions this summer. So this is not only for big boys. Also new for 19/20 is the FINTWIN, a short, fun pow and slush slasher at an affordable price. Since last season, we have started to bring some process of exotic shapes down since they are often bought as a second board. But it’s actually very important that we don’t lose sight of the reason WHY these shapes are being more accepted today than 10 years ago. Pro riders as well as board designers are looking for new ways to express themselves, and consumers take this opportunity as another way to show their individualism and have fun in a new, simpler way. 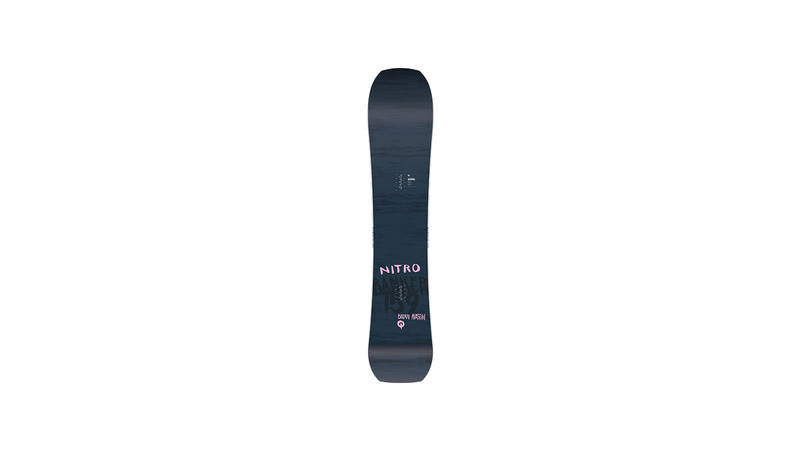 Also, we’re seeing many ‘veteran’ riders with these boards, as they are shaped mainly for all-mountain riding and they give a great incentive to buy a ‘modern’ board and use it for their favorite riding style. Even though we see this trend fading away at some point, it’s still a very important development for snowboarding right now. We’re drawing our inspirations from many sources, mainly depending on the target customer each board model is designed for. There is still a good amount of muted brights, with a noticeable trend towards brighter colours, and even neons. Even though the actual graphics themes and color stories are varying from board to board, there’s still a certain general overall feel that tie all our boards together for a typical Nitro look. Our marketing strategy this upcoming season has the same core values as our strategy 30 years ago – do everything we can to support the snowboard community. We are focusing on motivating people to go snowboarding through our “Run To The Hills” campaign, and upcoming full length team movie, and we are focusing on giving back and supporting the snowboard community through on-hill events, not selling direct, working with over 36 distributions worldwide to provide a closer relationship with our retailers, supporting team riders, and creating events for the next generations. Over the last few years we have seen that a lot of brands in and outside of snowboarding have made a big shift towards focusing on digital sales and conversion strategies, at the expense of cutting their marketing budget that promotes snowboarding, reducing their support to the snowboard heroes, participating and creating less and less on-hill experiences, and in the end become a direct competitor of everyone who has helped them to where they are today. Our end-consumer marketing focuses on sharing the passion for snowboarding and encouraging people to go out and snowboard no matter if they jib, race, carve, cruise, hike or send it in the park. On the retailer marketing level we believe that the industry is making a mistake by focusing to much on trying to cash out on direct sales and big deals with huge online superstores (like Amazon), because snowboarding has and always will be a speciality industry and therefore it is important for us to give back, support, and strengthen the community and retailers who have gotten us here over the last 30 years and will keep us here for the next 30 years.